Zev Senesca is a Star Wars minifigure first released in 2010. Zev Senesca was a Rebel Pilot from Star Wars. In the beginning of Episode V, he was on the planet Hoth when the Empire attacked it. His snowspeeder was shot down by blast fire from an AT-AT. After being hit, the speeder plowed into the snowy tundra, taking Senesca with it. 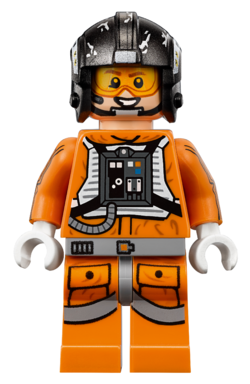 Zev Senesca in LEGO Star Wars: The Force Awakens. This page was last edited on 23 March 2017, at 06:05.